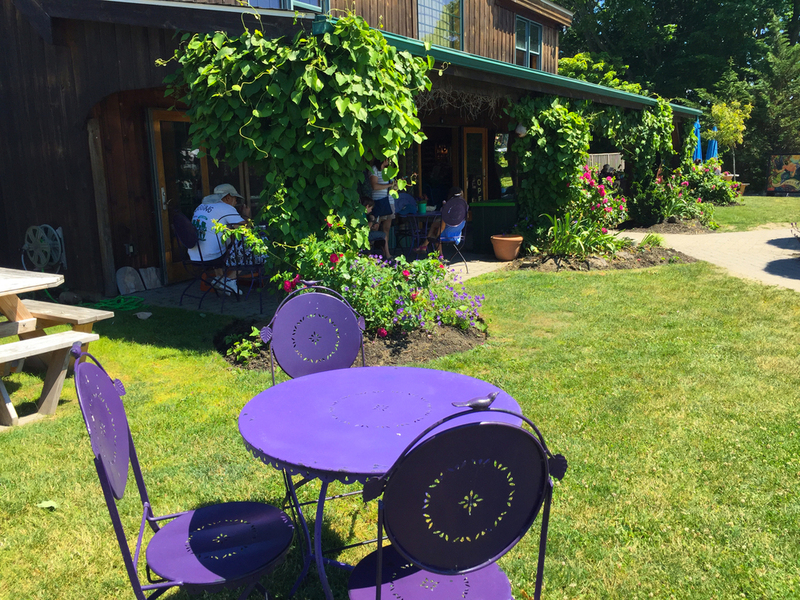 Sweet Berry Farm is a post-and-beam farm market and café situated on 100 acres of conserved farmland. We are located only a short distance from downtown Newport and the island’s beaches. From our market we sell our own freshly grown seasonal fresh fruits, vegetables, cut flowers, as well as a variety of gourmet and specialty foods. The pick-your-own season begins in June when the first strawberries ripen and extends through December with our festive Christmas trees and wreaths. We take pride in our farm and use only sustainable growing practices. Our talented kitchen staff prepares fresh and delicious food platters for any occasion. We use only the best ingredients, including fruit and vegetables grown right here at the farm. View our To Go Menu to plan your next event. We have enjoyed a wonderful season and look forward to seeing you when we reopen on May 3, 2019. Guests of private events at Sweet Berry Farm enjoy a peaceful, beautiful setting with the convenience of being close to town and the beaches. Our two distinctive event sites can accommodate both casual and formal affairs. Head Chef Brian celebrates his 10th season with us this year! We appreciate his creativity in the kitchen to invent new recipes and the way he maintains a positive work environment for his team of fifteen. Chef Doreen is bringing a fresh energy all her own to Sweet Berry’s café menu, combining her experience and creativity to cook up all kinds of must-try dishes. As the Sweet Berry Farm’s resident chef for the past ten years, Scott takes pride in putting his creative spin on comfort food season after season. "It’s rewarding to produce prepared food that is made from scratch with local ingredients."